Publisher: Ruth Nyaboe February 14, 2016 This information is provided solely as a guideline. I am not exactly a smoothie person. I would so much rather be eating fruit than drinking them but every now and then I just don’t have time for breakfast and making a smoothie takes mere seconds. 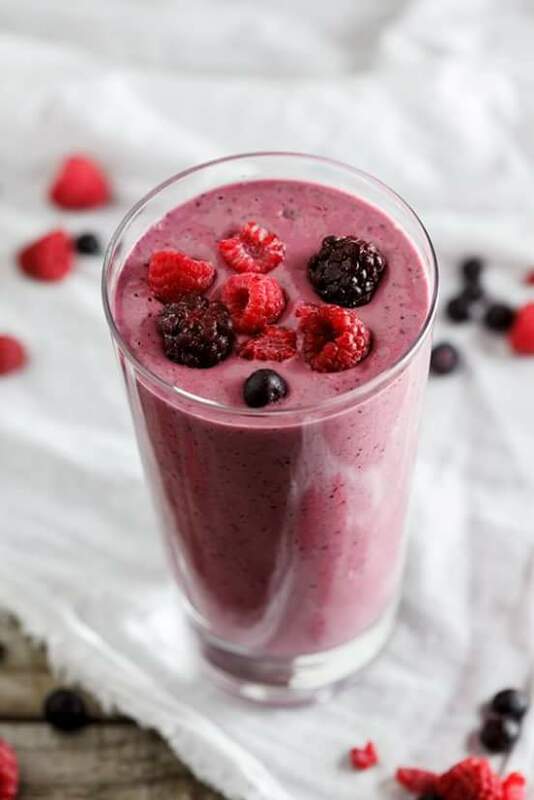 I made this healthy smoothie recipe a while ago and really, really liked the final result. The smoothie was creamy, slightly sweet, a little tart and very filling. I loved the addition of chia seeds which added loads of fiber and protein and kept me full and satisfied until lunchtime. Using frozen berries instead of fresh berries meant I didn’t have to add ice but if you don’t have frozen berries, feel free to substitute with whatever you have on hand. Blueberries, raspberries, blackberries, and strawberries all work well. ½ cup-1 cup cold water. 1 banana, broken into pieces. 1 tablespoon chia seeds (Found in Nakumatt or Zucchini stores). Combine all the ingredients in a blender and blend until smooth and creamy. Pour into glasses and serve immediately.